- Hook & Loop flap closure. 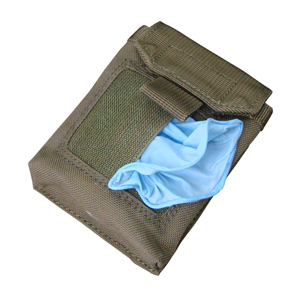 - Overlapping elastic to secure gloves or quick access. - Holds 3 to 4 pairs of gloves.